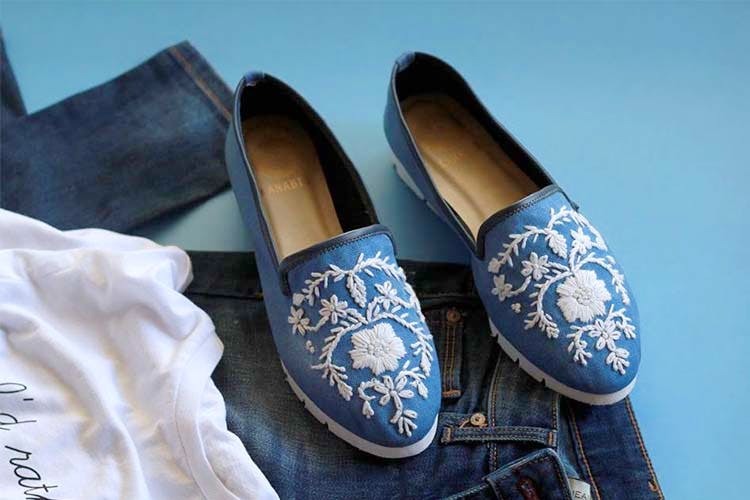 Kanabis, a vegan footwear brand launched a few years ago, is the next best thing to show off if you’re an ardent animal lover. The brand is also PETA-approved and could be substituted for leather. Devika Srimal Bapna, the brains behind this project, started toying with the idea of non-leather footwear after she realised that at least 50 million cows are slaughtered for their by-products every year. After tons of market research she and her team made footwear for women that could be substituted for them leather shoes. The use of canvas (a derivative of the cannabis plant) came to be very handy. All their products are sturdy, durable and of good quality. What gives her brand the unique identity it has managed to gather in two years? Well we’re digging the whole vegan PETA friendly idea a lot but apart from that, there is also granular attention paid to the design and quality of their products. She wears her designs personally to test their longevity. Coming to the kind of shoes they offer, Kanabis does everything from sneakers and sandals to block heels and boots. The price starts at an affordable INR 1,499 onwards.